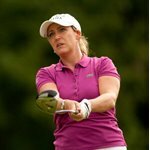 Cristie Kerr is an American professional golfer who plays on the U.S.-based LPGA Tour. 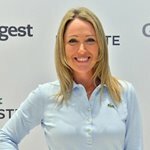 She has 14 wins on the LPGA Tour, including two major championships, and over $13 million in career earnings. Kerr was the number one-ranked golfer in the Women's World Golf Rankings for three time periods in 2010. 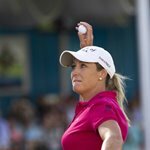 Kerr's first win in a professional tournament came in April 1995 in the Ironwood FUTURES Classic on the Futures Tour, which she played while still an amateur. 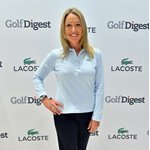 She turned professional in 1996 at age 18 after graduating from high school, playing on both the Futures Tour and Players West Tour. In October 1996, she tied for sixth at the LPGA Final Qualifying Tournament to gain exempt status for 1997. 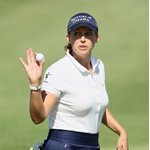 Her LPGA career started fairly slowly; she broke into the top fifty on the money list in her third season in 1999, but did not win until her sixth season. In 2002 she won her first LPGA event at the Longs Drugs Challenge in California. By 2004 she was one of the leading players on the tour, with three tournament victories, and a fifth place finish on the money list. She won two tournaments in 2005 and moved up to third on the money list. She tied for second at the 2000 U.S. Women's Open, matched by her performance in the 2006 Women's British Open. Her first win of 2006 came at the Franklin American Mortgage Championship where she posted a tournament-record score of 19 under par. In 2006, she was the only American to win more than one event on the LPGA Tour, winning three times. She won the 2007 U.S. Women's Open, her first major championship. 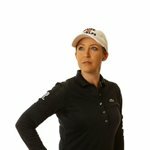 She was also a member of the United States Solheim Cup team in 2002, 2003 and 2005. The hallmarks of Kerr's game are putting; she finished in the top five on the LPGA Tour in putts/greens hit in 2005 and 2006 and iron play. She was fifth in greens-in-regulation in 2005. 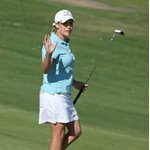 In 2005, Kerr finished in the top 10 in half of the tournaments she entered, and ranked second in the LPGA in scoring average, trailing only Annika Sorenstam.